Arsene Wenger has been rushed to hospital after choking spectacularly at his London home. 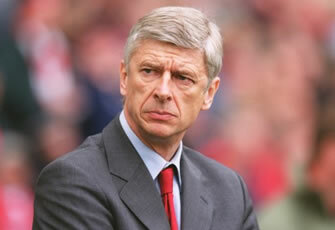 The Arsenal boss was sitting watching television earlier this afternoon when he attempted to eat a Werther’s Original. After approximately four minutes of sucking the butterscotch sweet, he moved suddenly to swat a fly and the confectionery became lodged in his throat. His wife is thought to have administered several sharp blows to his back in order to get him to stop choking, but it seems that only made him worse. In the past Wenger has choked upon broccoli, a cheese sandwich and every football season since 2005. The ward where he is being treated has played host to many choking victims in the past: Mama Cass, Tennessee Williams and the 1995-96 Newcastle United side.